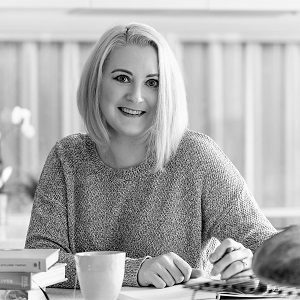 I’m a specialist copywriter, recipe developer and author with almost 20 years experience in food and home appliance writing. Working with global companies, start-ups and everyone in between, I create approachable content which speaks to a brand’s core audience. Food is my favourite topic to write on, and I do that for businesses spanning FMCG operations, appliance manufacture, catering, retail, coffee roasting, winemaking, restaurants and artisan gourmet products. I’ve worked on content for big brands including KitchenAid, Thermomix, Gaggenau, Neff, Siemens, Cuisinart, Coles and Woolworths, plus many smaller Australian brands. What can I bring to your brand? – Clear, concise and professional content, and the ability to entice buyers to embrace and remain loyal to a brand. – Twenty years experience developing content and recipes for consumer product brands means I’ve written across a huge range of topics, from poultry farming to medicinal mushrooms! I’m a voracious reader and stay on top of trending food and health news, so I’ve always got a story or recipe up my sleeve to appeal to your customers. – My in-depth Search Engine Optimisation (SEO) training, knowledge and experience will ensure your online content isn’t disappearing into the black hole of Google search results. – My work in the growing steam oven market, which I write about at the website Steam and Bake, means I’m an expert at specialist consumer-facing steam oven content. My first cookbook on combi steam oven cooking was published in 2017, with 2 more to follow. – Degree qualifications in Journalism and Nutrition mean I’ve got the formal training to write the content you need. If you’ve got a food, health and wellbeing or appliance brand project needing a clear, focused and professional eye, I’d love to help you make it stand out. Read more about me, including client testimonials, at http://www.emilywrites.com.au or http://www.steamandbake.com. We engaged Emily on behalf of our client of ours that was undertaking a strategic plan exercise. As part of the strategic plan roll out we required a brand story to be written. This brand story was pivotal to capturing the new business position of our clients as well as helping to shape website copy and collateral. Emily has a rare ability to quickly grasp your ideas and translate them into words on a page – more often than not words you didn’t even realise you needed! She is brilliant, works well to deadlines and so easy to work with.